Frenkie de Jong has dismissed any talk of a January transfer after announcing his intention to stay at Ajax until at least the end of 2018-19. The 21-year-old Netherlands midfielder has become one of the most sought-after talents across the continent, with the likes of Paris Saint-Germain, Barcelona and Manchester City linked with his signature. 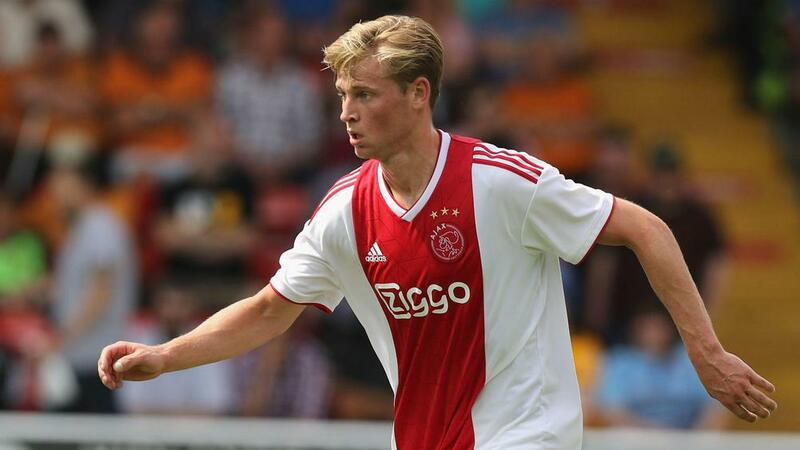 But De Jong, who has started all but three Eredivisie games for second-placed Ajax this season, will not be leaving Amsterdam until the next window at the earliest. "I am certainly not leaving this winter," De Jong said in an interview published via Ajax's Twitter account. "I am 100 per cent staying until the summer. "The atmosphere in the group is very good and we have a lot of quality - so I would be disappointed if people left."